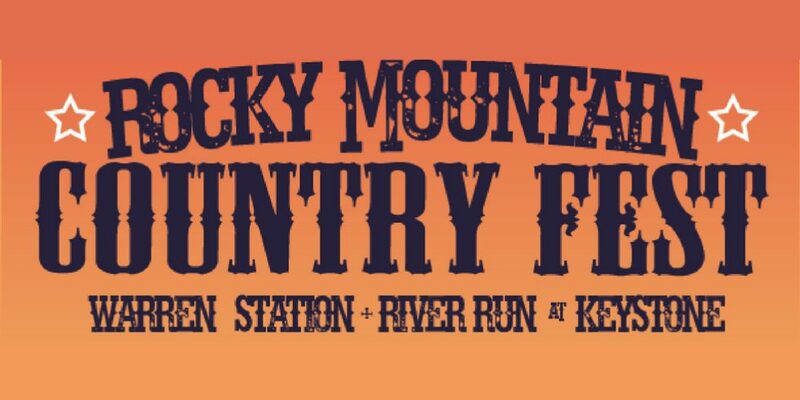 Warren Station and 93.1 Summit Country are proud to present the second annual Rocky Mountain Country Fest at Keystone. The evening will be chalk full of red dirt country from Mark Powell, Micky & the Motorcars, and Cody Canada and the Departed. Cody Canada and the Departed- Cody Canada was the lead singer/songwriter of the Oklahoma-based rock-country band Cross Canadian Ragweed from their inception in 1998 to their dissolution in 2010. In that time they sold over a million albums. Cody Canada has returned to vintage Cross Canadian form seizing the opportunity to take the lead of his four-piece band, The Departed, with a newly energized inspiration to get back to his roots. The time he spent pursuing new creative paths with The Departed was a blessing, allowing him time to develop a rejuvenated appreciation for Ragweed’s legendary body of work and the connections it made with fans. Micky & the Motorcars­- Thirteen years can put a hell of a lot of wear and tear on even the hardiest of rock ’n’ roll bands. But don’t be fooled by all those hundreds of thousands of miles on Micky & the Motorcars’ odometer: pop the hood of Hearts From Above, the long-running Austin band’s seventh album, and you’ll find a brand-new engine, fine-tuned and good to run for at least as many more miles still ahead. And behind the wheel? Two brothers and founding members Micky Braun (lead vocals and guitar) and Gary Braun (guitar, mandolin, harmonica, and vocals) invigorated and supercharged by a transfusion of new blood from fresh recruits Josh Owen (lead guitar/pedal steel), Joe Fladger (bass), and Bobby Paugh (drums). Micky and Gary, who by their own admission, haven’t been this fired up about playing together since they first rode south from the Whitecloud Mountains of Idaho to stake their claim to the Texas and wider Americana music scenes. Mark Powell- With the recent release of his 5th studio album, “Breaking Things”, Mark Powell is quickly leaving a footprint bigger than Texas, encapsulating a modern spice to traditional country music. The unique blend of authentic lyrics, vocal hints of Geroge Strait, versatility as an accomplished musician, and unsurpassed showmanship as an entertainer, Mark Powell is gaining international success as an independent singer and songwriter. As a 2nd generation professional musician, his father, Bishop, taught him the value of hard work in the music business. This hard work has lead to performing on some of the world’s largest stages and most elite songwriting rooms. Mark has written with the likes of hit songwriters: Dean Dillon, Bubba Strait, Jeff Hyde, Walt Aldridge, and many more. 16 other music artists have cut Mark’s songs, with 4 landing on the charts. All tickets are general admission, first come first serve. Limited seating available. Tickets are available for purchase at www.warrenstation.com.